We're in the process of changing our name! May your visit here uplift, nourish and nurture you – and make you smile! or you are just now realizing that you have a special connection with them. Or the whole idea of a special human-dolphin connection may be brand new and a little strange to you! Whatever your relationship with the dolphins is now, I hope you make some new discoveries while you’re here. You may even find answers to questions that have been eluding you! 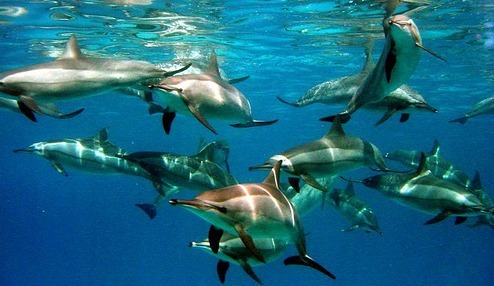 Hawaiian Spinner Dolphins Rocked my World! 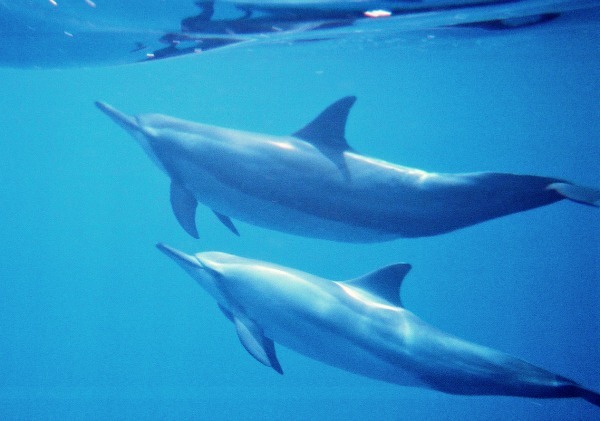 Dolphin Heart World was born in 1996, shortly after my first encounter with a pod of wild Hawaiian spinner dolphins. 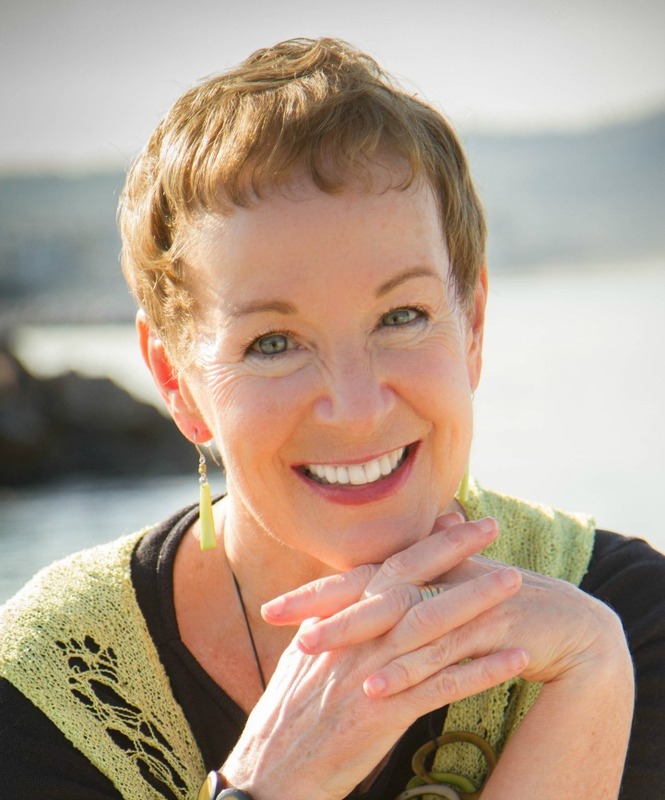 In one magical moment, with one remarkable dolphin, I received a profound spiritual initiation that dramatically altered the course of my life. That very night, people began experiencing spontaneous healings and transformations in my presence. Soon I discovered I had become a vehicle for the beautiful healing frequencies of the dolphins! My life became about giving Dolphin Energy Healing to anyone who was willing to receive it. People from all over the world found me and received these healing gifts. I learned this highly advanced spiritual healing technology directly from the source -- from the Dolphin Consciousness. But their healing energy was not just meant for those who came to me to receive. It was meant for me too! For seven amazing years, Dolphin led me on a profound inner journey of healing, growth and metamorphosis. This journey culminated in my spiritual awakening in January 2003. My book, Dolphin Love ... From Sea to Land, tells the story of this wondrous journey. At Dolphin Heart World, it is our joy and our passion to meet and journey with Dolphin in the realm of Spirit, where obstacles and limitations do not exist. We’ve been doing this since 1996 – we’ve gotten really good at it! And it is our greatest joy to help you do the same. We bring the gifts of the dolphins … from sea to land! By spreading Dolphin Love, Joy, healing, and higher consciousness in the world, we are co-creating, with Dolphin, Whale, and other spiritual sources, Unity-Community on land among humanity. What are the gifts of the dolphins? Their Unconditional Love and Acceptance creates a sense of complete safety and trust when we are in their presence. Their Frequency of Joy touches us, inspires us, and lifts us up. Their way of living and being, in Unity-Community, shows us a better way to live our human lives here upon planet Earth. To me, nothing can be compared with it. From Sea to Land means that we help you make a meaningful and profound connection with these amazing beings -- from within. This sublime, exquisite inner connection with Dolphin can occur anywhere, any time. It’s not dependent upon being with the dolphins physically. My beautiful dolphin spirit friends have demonstrated to me over and over again, in amazing, clever, and sometimes hilarious ways, that they are not limited by time, space, or physicality. When we make this inner connection with Dolphin, and nurture it so that it deepens and grows, we change. We begin to love and respect ourselves more. As our self-love grows, our ability to attract and maintain loving, healthy relationships with others increases. Dolphins are masters of connection. “Unity-Community,” was their immediate reply. Many of us dolphin people have a profound love for animals and nature, but we sometimes have a hard time with humans. With the unconditional love and support of our spirit dolphin companions, this seemingly insurmountable obstacle gradually dissolves away, and one day you discover that humans are worthy of love too! It’s a remarkable feeling to fall in love with humanity. Life becomes a lot more free, fun, and connected! Welcome to Dolphin Heart World! Linda, I want to say a really big thank you to you and David for what you do. Your integrity in bringing forth the dolphins so profoundly makes it such a real experience for us all. I feel such appreciation that you listened to your heart. That you offer this in this lifetime ... it’s just amazing. Within these pages, you'll learn about the unique services and products we offer. All we do is in collaboration and co-creation with Dolphin (my affectionate name for the vast, pan-universal Dolphin Consciousness) and other spiritual sources. Our purpose and desire is to nurture and support you in your own inner journey with these profoundly loving, intelligent, wise, and joyful beings. I invite you to dive in and explore! No snorkel gear is required – just an open mind, a willing heart, and an adventurous spirit. Invite the energy and consciousness of the dolphins to flow through you as you browse through these pages. And then relax, release, and surrender to the love – the wonderful, sublime Dolphin Love! Calling Forth Your Inner Dolphin! … any time, anywhere, in any circumstance! Dolphin and I are delighted to share this elegantly simple and super-effective inner-shift technology with you as a token of our Love, Joy, and Appreciation for the essential contribution that your unique presence brings to the world! Look for a confirmation request in your email inbox. will include the link for Calling Forth Your Inner Dolphin. Rest assured that we respect your privacy.